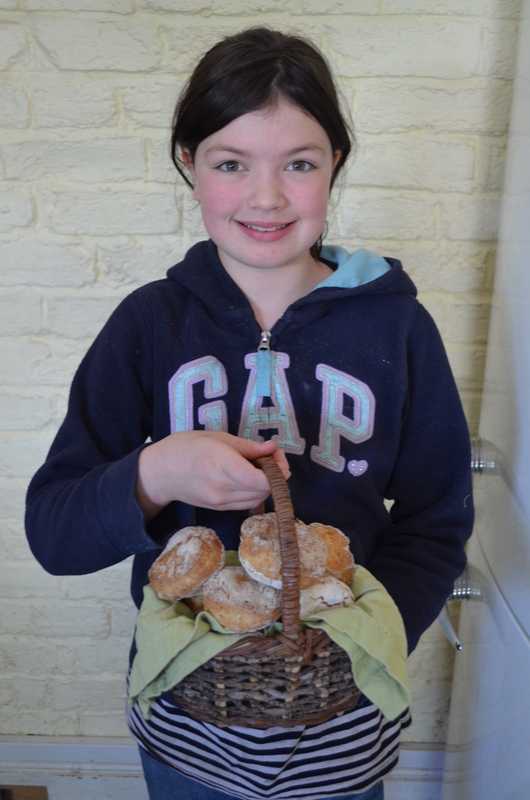 Me, with my basket of biscuits! Mix dry, work in fat, add buttermilk. Do not mix too much, but blend enough to make a ball of dough. Place on a baking tray and bake at 210 degrees centigrade for 12 minutes. We boiled up some blackberries, which jammed themselves without any additional pectin! We had this blackberry jam with our just baked, still warm biscuits. 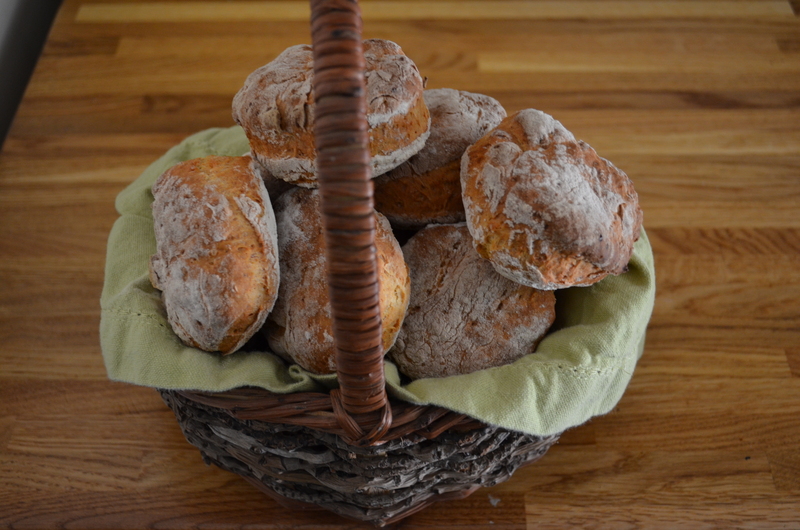 Posted on July 17, 2013 by Claire	• This entry was posted in 1800's Recipes, L10's Posts, Soda Biscuits. Bookmark the permalink. Sounds lovely. Our blackberries aren’t quite ripe yet. Looking forward to blackberries in the next week or so-will need to try them with this recipe. Mummy had some blackberries in the depth of our freezer so we cheated and used those! Lovely! They don’t look at all like what we would call Scones here in South Africa. Isn’t it interesting to see how we have different names for the same foods and similar names for different foods, all over the world? The thought of your yummy Soda Biscuits with fresh blackberry jam is making me feel like baking as well! Well done! Thank you! What do your scones look like? I wanted to post a photo for you to see, but can’t seem to do that in a comment. Ours Scones are very pale and more like crumbly cake… 😉 Hope that makes sense! Yours look really yummy! Yes, they don’t look like what we make as scones, either. They delicious and I bet they were with the blackberry jam. My biscuits are much less dark, but that is just preference. Imagine how hard it must have been to make them on a wood stove, like Laura and her mother. Our biscuits should have been much lighter, only we forgot about them! Ooops! I like your biscuits. Did you make them yourself? When we cook, we have to have help. Hear from you soon. Yes, I made them myself. I have been cooking for lots of years. I love being in the kitchen, although mummy did help out at first. Your biscuits look nice. We should try that recipe. I love blackberries. We were surprised that the blackberries formed jam really quickly and without any additional pectin. It was fun to watch. Those biscuits look delicious! And with blackberries…um, my mouth is watering! Thank you so much. They were good but they would have been better if we hadn’t forgotten about them! What is dripping? I’m not familiar with that. The fat off the meat, when left to harden in the fridge gives you dripping. It is very tasty and very unhealthy!